↑ "Lise Meitner Dies; Atomic Pioneer, 89. 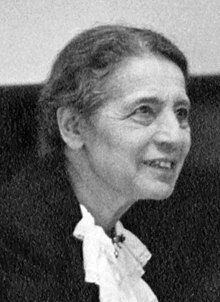 Lise Meitner, Physicist, Is Dead. Paved Way for Splitting of Atom. "। The New York Times। ২৮ অক্টোবর ১৯৬৮। সংগ্রহের তারিখ ১৮ এপ্রিল ২০০৮। Dr. Lise Meitner, the Austrian born nuclear physicist who first calculated the enormous energy released by splitting the uranium atom, died today in a Cambridge nursing home. She was 89 years old.